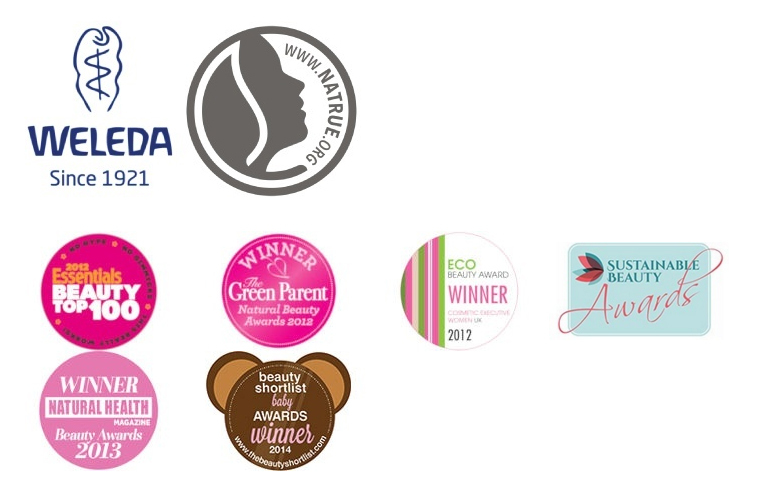 Weleda's Almond collection was highly commended in the category Best Eczema range. Almond Soothing Cleansing Lotion (75ml) is an extra mild cleanser for sensitive and unbalanced skin, recently Highly Commended in the Best Cleansers category of the Natural Health Beauty Awards. Almond Soothing Cleansing Lotion is a hypo-allergenic and fragrance-free cleanser to help soothe irritation and maintain skin's healthy balance while gently removing impurities. Organic sweet almond oil, rich in essential fatty acids, helps nourish and soothe sensitive skin while maintaining its natural protective barrier. Plum kernel oil, high in antioxidants A and E, softens skin while protecting from environmental influences. Free of harsh cleansers or sulfates that can strip skin and damage its natural barrier, this creamy cleanser leaves skin soft, clean and comfortable, thanks to nature's most effective and soothing ingredients. Apply gently to face, neck and décolleté morning and night with a cotton pad or fingertips. Remove with warm water or a damp cotton pad. Follow with Weleda Almond Soothing Lotion or Almond Soothing Facial Cream. To remove eye makeup, apply a few drops of Almond Soothing Facial Oil to a damp cotton pad and wipe gently across the eye area.